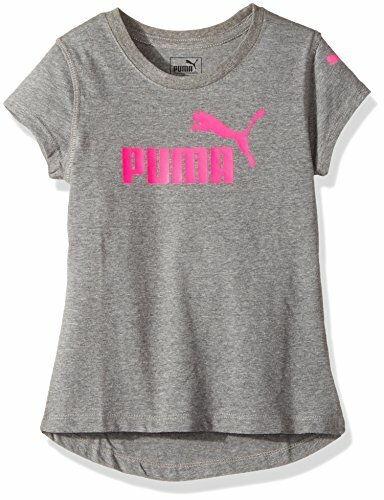 PUMA Big Girls' Logo Tee, Medium Gray Heather, Extra Large | What Should I Say? The PUMA logo tee that can keep up with her where ever she goes. From gym class to the weekend, this will quickly become her new favorite top.